Single and looking to mingle during your stay in the Windy City? 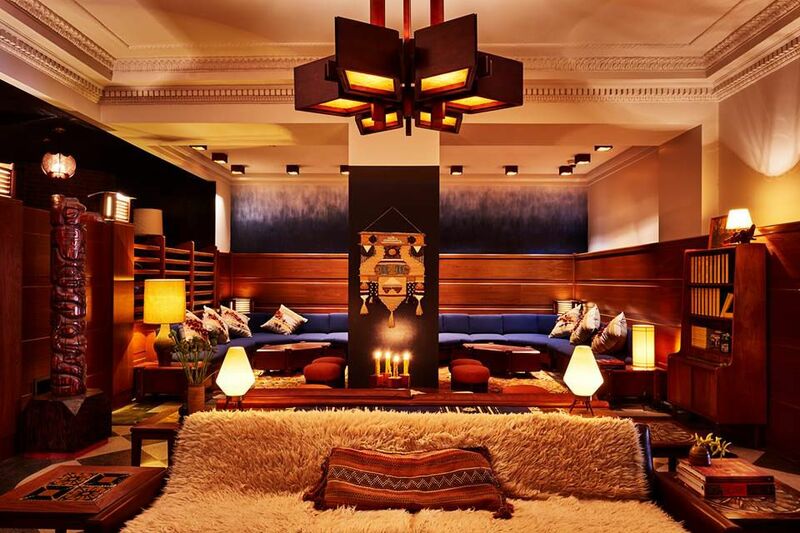 While full-on clubbing in Chicago may not be your cup of tea, the right hotel catering to unattached travelers just might pique your interest. It's all about the amenities, of course. Some properties focus on showcasing dynamite cocktail lounges, others offer special packages for pet lovers, some play up the appeal of their surrounding neighborhoods, and quite a few see the advantage of incorporating conversation starters such as old-school games and rotating art installations. We've gathered some of the very best hotels around town to check in to find a potential significant other. Why It's Hot: In its new life in the property that originally opened in 1890 as an exclusive men's club, the ​Chicago Athletic Association Hotel operates as a lifestyle hotel catering to well-heeled men and women. In addition to 241 guest rooms, the biggest draws are its dining and drinking establishments that attract locals as well as tourists: Cindy’s, a rooftop restaurant and bar with stunning city views, reminiscent of a Great Lakes beach house; gourmet burger shop Shake Shack, a New York-based chain by famed restaurateur Danny Meyer; Milk Room, an eight-seat microbar offering pastries and coffee during the day and high-concept cocktails by night; Game Room, which houses two bocce courts, pool tables and table games; and Cherry Circle Room, an all-day restaurant that's cocktail focused. The Neighborhood: CAAH is located in the heart of downtown Chicago and across the street from Millennium Park. That's as centrally located as you get in the Windy City, which means you're in walking distance to a number of cultural attractions such as Art Institute of Chicago, a number of high-profile theaters and Chicago Symphony Center. Two blocks away is the famed State Street (that "Great Street"), which boasts the Block Thirty Seven shopping center. Address: 12 S. Michigan Ave. The Neighborhood: If trendy bars are your thing--whether they're cocktail-oriented or full of "pretty people"--you'll feel right at home in River North. Some best bets double as restaurants and bars, such as Arbella, Benny’s Chop House, Frontera Grill and Three Dots and a Dash. Why It's Hot: Hotel Lincoln, a near North Side boutique-style property offers spectacular views of Lincoln Park, which may be seen from guest rooms as well as from rooftop lounge J. Parker. Located on the 13th floor, the upscale rooftop lounge is a particularly hot draw in the area for young professional singles. The owners constructed a glass-enclosed patio rooftop, making it a year-round drinking destination. J. Parker boasts a strong cocktail program, which includes classic and seasonal offerings, plus curated wine, spirits and beer lists. Extreme craft beer enthusiasts should also appreciate Beermiscuous, the lobby-level cafe offering more than 300 options. The Neighborhood: The hotel is in Lincoln Park, and also in close proximity to the Gold Coast and Old Town neighborhoods, Wrigley Field, Lincoln Park Zoo, ​Second City and Steppenwolf Theatre Co. Address: 1816 N. Clark St.
Why It's Hot: Hotel Monaco is one of the best-known properties that'll take care of your pet, which means you're likely to meet some new like-minded friends during your stay. Another opportunity to mingle is during the hotel's daily happy hour (5-6:30 p.m.), where guests meet up in the lobby for complimentary wine and appetizers. The Neighborhood: Another Chicago Loop hotel, Monaco is a couple of blocks away from House of Blues, if you're looking for live music. It's also located right off the Magnificent Mile, the Chicago River and after-work hot spot Prime & Provisions. Address: 225 N. Wabash Ave.
Why It's Hot: Park Hyatt Chicago is a premium luxury hotel in the middle of the Michigan Avenue shopping district. Its upscale amenities have so much appeal, from a 6,500-square-foot gym complete with 25-yard lap pool to rotating art installations in the lobby. NoMI is the property's dining and drinking destination, and it serves up seasonal, global fare. It's an especially popular meeting spot during the summer on its terrace and in the winter at the bar. The Neighborhood: Guests can stick to the Mag Mile or venture over to the Gold Coast for lively bars, restaurants, and late-night hangs certain to be filled with singles. Some of our favorites include Jellyfish Sushi, Maple & Ash, and Sparrow. Address: 800 N. Michigan Ave.
Why It's Hot: This Marriott property transformed into a boutique-style hotel in 2015. Renaissance is very art focused, offering rotating installations depicting local flavor. The 520 guestrooms and 40 suites feature unique amenities with marble accents complemented by skyline views of the city's famed architecture. Other new attractions include an open-format lobby bar called Staytion Market & Bar and Raised, a rooftop bar overlooking the Chicago River. Staytion offers many after-work events attracting downtown workers. The Neighborhood: Another Chicago Loop hotel, Renaissance Chicago Downtown Hotel is directly across the street from House of Blues, if you're looking for live music. It's also located right off the Magnificent Mile, the Chicago River and after-work hot spot Prime & Provisions. Why It's Hot: The vintage Raffaello Hotel ​underwent a multi-million dollar renovation for its 175 guest rooms and suites. It's managed, of course, to maintain that vintage charm, making it highly sought after for leisure and business travelers. After business there's pleasure, and Drumbar looks and feels like the type of place that would have gotten plenty of Don Draper action back in the 1960s. It’s located on the 18th floor of the hotel and features a bustling rooftop patio during warm months. Drumbar boasts an extensive collection of rare finds when it comes to scotch, and it's also a popular choice for discounted happy hour drinks. The Neighborhood: The hotel is in a great location, which is the tony Streeterville neighborhood, walking distance to the lakefront, Michigan Avenue shopping, Rush Street bars and restaurants, and the John Hancock Center. Address: 201 E. Delaware Pl. Why It's Hot: The Sofitel, located in the ultra-trendy Gold Coast, showcases striking architecture in a great location near Michigan Avenue. It features 415 rooms, including 32 suites and one presidential suite. The property is French focused, with a lively cocktail lounge and colorful restaurant serving modern French fare. It attracts its fair share of European travelers, particularly the French, so the bar is typically filled with a lot of sharp-dressed people with cool accents. The Neighborhood: Situated in the Gold Coast, Sofitel finds itself in the middle of the action, with a number of cocktail lounges, late-night diners, venerable steakhouses and more in walking distance. Address: 20 E. Chestnut St.
Why It's Hot: Situated in the West Loop, Soho House Chicago takes over a six-floor historic warehouse dating back to 1907. Its membership policy includes reserving hotel rooms, plus indulging in the gym, rooftop pool, club floor and 40-seat screening room. Non-members may take advantage of membership benefits by booking one of the boutique hotel's 40 guest rooms and suites. Amenities include access to the ​Drawing Room (a day-to-night meeting space), Club Bar (gastropub for all-day eating and drinking), seasonal Italian eatery, screening room, Belt Room private dining room, and a rooftop equipped with a 60-foot swimming pool with alfresco dining, drinking, and views of downtown. This is the trendy place to see and be seen. The Neighborhood: Located right off Chicago's famed "Randolph Restaurant Row," and not far from Ogilvie Transportation Center, Soho House is the only hotel property in the immediate vicinity. There are a number of swinging cocktail lounges (Booze Box, Momotaro, The Betty), live-music venues (City Winery), late-night eateries and more to absorb. Address: 113-125 N. Green St.